Eating Enough Fruits and Veggies? Do you have a holiday game plan? Is it Safe to Eat Soy? Are gluten-free diets for everyone? Planning to diet this January? Do this first! Is a Plant-Based Diet Safe for Children? Which Food is a Top-Rated Cancer Causer? Diabetes – “Manage” or Reverse? Amanda G. – Loses Digestive Issues and 115 lbs. Tim P. – Off all 8 Meds! 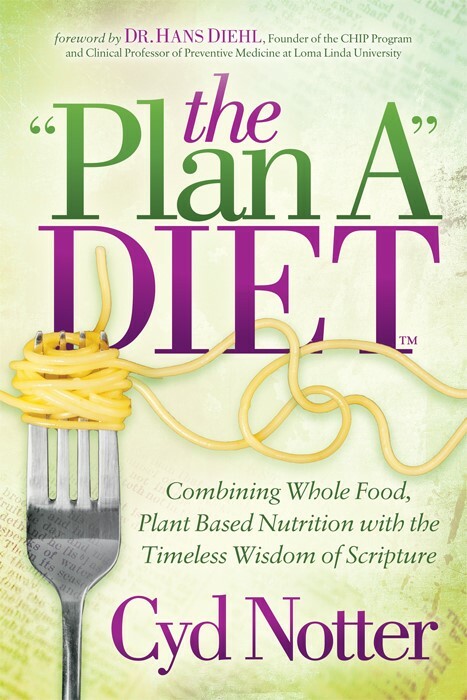 The “Plan A” Diet book project is coming along! Having declared 2018 as “the year of the book,” it’s fortunately still on track to happen. Below is the latest update….. But to stay in the loop, how about signing up for my monthly newsletter here? I’d love to keep in touch with you on a more personal level, and by adding your name to the newsletter, you’ll be assured to receive book updates (and any pre-launch specials), links to great articles, book reviews, recipes, and maybe a corny joke or two. I can see the light at the end of the tunnel! Having just completed “The 21-day Meal Plan” chapter, there are only 2 chapters remaining which should be pretty straight-forward. I hope to have the completed written version submitted to my publisher by November 1. Here’s how God has blessed me beyond measure once again. I contacted a friend in Florida continue reading here. There has been long-term debate over the question: Are you a body with a soul, or a soul with a body? Some people would answer that question as “YES”. In other words, they believe we are both. However, scripture is quite clear and there is little room for debate when it comes to the biblical teaching that our bodies are the temple (dwelling place) of God’s Holy Spirit. Those of us who have accepted Jesus Christ as our Savior are indeed such a temple, and that great privilege came at an exceedingly high price – the ultimate sacrifice of Jesus’ death on the cross. Don’t you know that your body is a temple that belongs to the Holy Spirit? The Holy Spirit, whom you received from God, lives in you. You don’t belong to yourselves. You were bought for a price. So bring glory to God in the way you use your body. If you are a Christian, taking this teaching to heart may lead to a new perspective about your responsibility to keep your body fit and healthy; it is, after all, the temple of God’s spirit! God actually resides in you. Are your lifestyle and dietary choices making him comfortable? Are you bringing glory to Him in the way that you treat and use your body? These are important questions to consider since the majority of Christians in the U.S. are overweight and unhealthy; it’s apparent that we’re not paying much attention to how food is affecting our health. When we realize that our bodies are temples of God, the way we view our lives and our food choices will move into clearer focus. We may no longer be so willing to blindly live according to our culture. We may no longer be willing to let ‘The 10 Barriers to Change’ continue to defeat us. We may no longer be willing to bury our heads in the sand or pretend we don’t know there’s a problem with our food choices and other lifestyle habits. We may finally be ready to bring glory and honor to God by doing whatever it takes to be responsible in this matter. Please prayerfully consider your responsibility as you ponder these matters in your heart. "10 Simple Dessert Smoothies" - Enjoy! Newsletters are issued once a month. I promise not to overload your inbox! Do we need more protein after age 65? Subscribe to receive an email when a new blog is posted.